I still fondly remember that rainy day back in 1994. A friend told me that he had just gotten a CD-ROM full of different game demos. 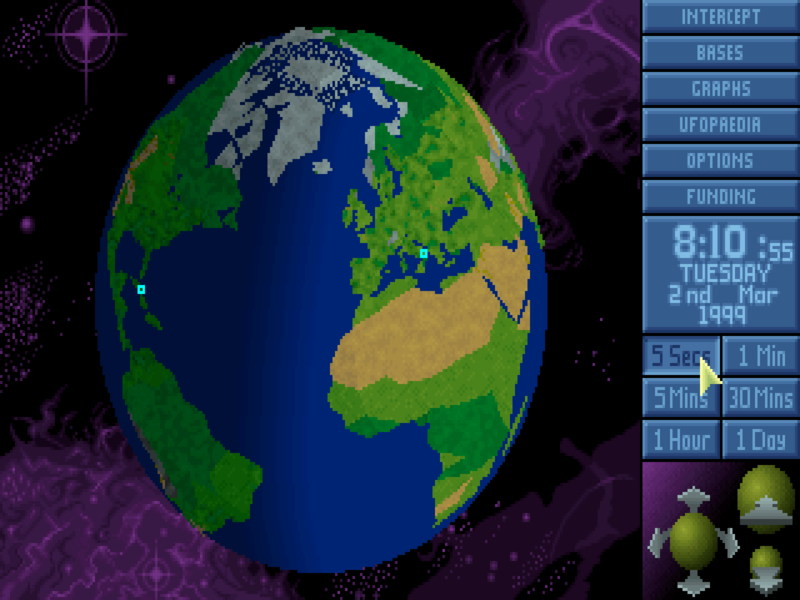 So I went over and fired up the demo for UFO: Enemy Unknown (known as X-COM: UFO Defense in the US). I was 13. I had no idea what I was doing but the art style, the haunting soundscape and the fact that my soldiers could throw grenades – or more likely, blow themselves up with their own grenades, and boy was I sold. Of course, in just few months, Jagged Alliance would blow my mind again but UFO was the first and, as they say, you always remember your first love. Originally intended as merely a sequel to Laser Squad, input from MicroProse led to a growing scope of the game, including both UFOPedia and the Geoscape, the strategic element in the game. This was ultimately a huge boon for the game. As good as the tactical battles are it’s hard to see the game becoming the kind of cult classic that it did without the strategic side. More importantly, MicroProse UK’s head of development Pete Moreland suggested Gollop use a UFO-theme. Rest is history. 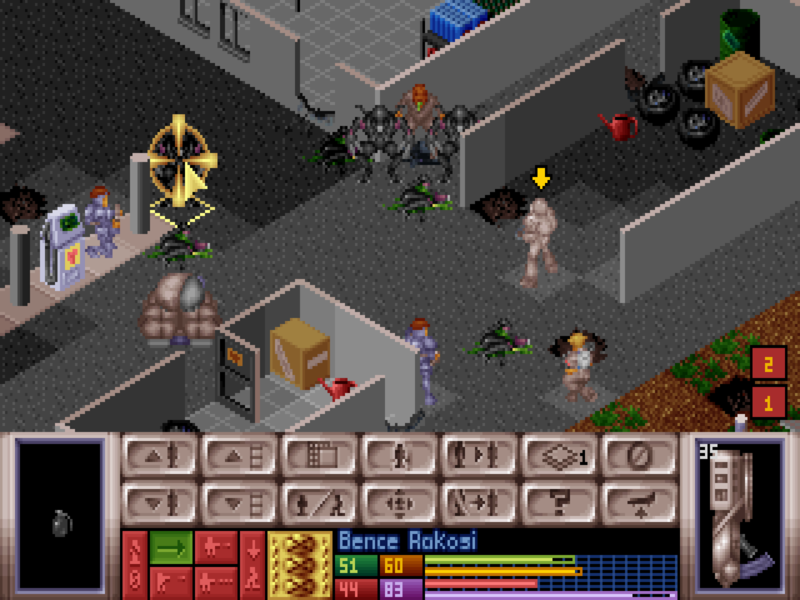 X-COM/UFO is played on two distinct levels: the strategic side based on the Geoscape, and the tactical side based on turn-based squad-level battles. 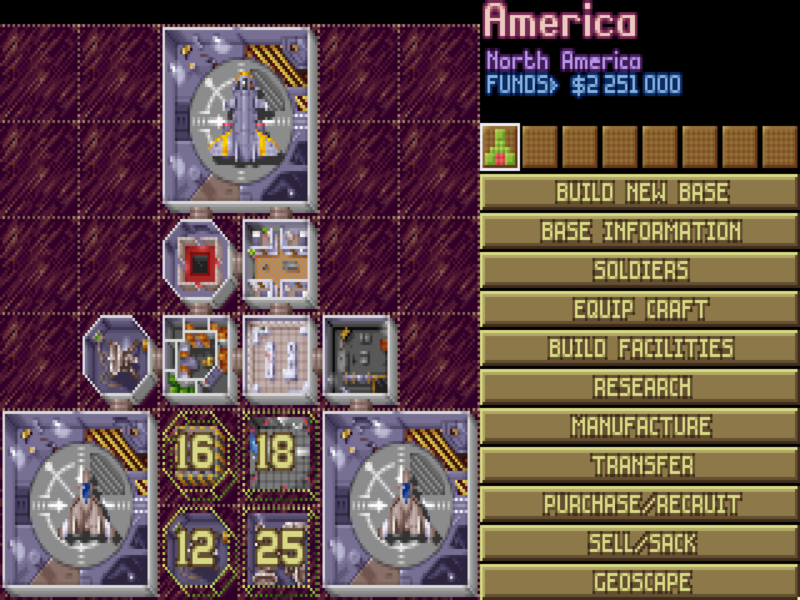 In the Geoscape, players decide where to build bases, what to build in those bases, what to research and manufacture, how many personnel must be recruited, what gear will be bought and how it will be distributed, which UFOs will be hunted by airplanes and where will the squad(s) of soldiers be sent. Various countries world over are funding the X-COM initiative but unless you tackle the alien menace inside their borders, they will not happily keep giving you money. And it’s possible to lose countries completely, as they are taken over by the aliens. The second level is the tactical combat, which honestly is the meat of the game. Your transport planes will take your troops – ranging from 12 to whopping 26 soldiers in larger planes – to the main street of an American city, the potato farm of some Polish farmer, between the dunes in Sahara or even to the cold wasteland of Antarctica. The maps are all randomly generated, which help stave off boredom. Missions can happen both during the day and during the night. Aliens usually have time to spread out from their craft and prepare ambushes, so the player needs to carefully recon the area instead of just rushing in. When an alien is encountered, it’s better to be behind at least partial cover – that wooden fence might stop a single shot and thus save your soldier. But take care, as absolutely everything in the environment can be destroyed. Bullets and laser beams will knock out walls, grenades take down trees and bigger explosives can wreck entire buildings or even the near-impenetrable alien craft. Which you usually need to enter to bring the battle to a close, especially if you want to take prisoners. Your soldiers begin as wet-behind-ears greenies, protected by gray overalls, carrying automatic rifles and puny hand grenades. They will get winded, scared and even mind controlled. But with careful mixture of in-game knowledge and real-world small unit tactics, the player can lead them to victory, neutralizing all aliens on the map and hauling a trove of alien tech back to base, where scientists will swarm over it. And while soldiers are generic, you quickly form bonds with your veteran troopers, and losing them is a hard blow – both emotionally and game mechanics wise. 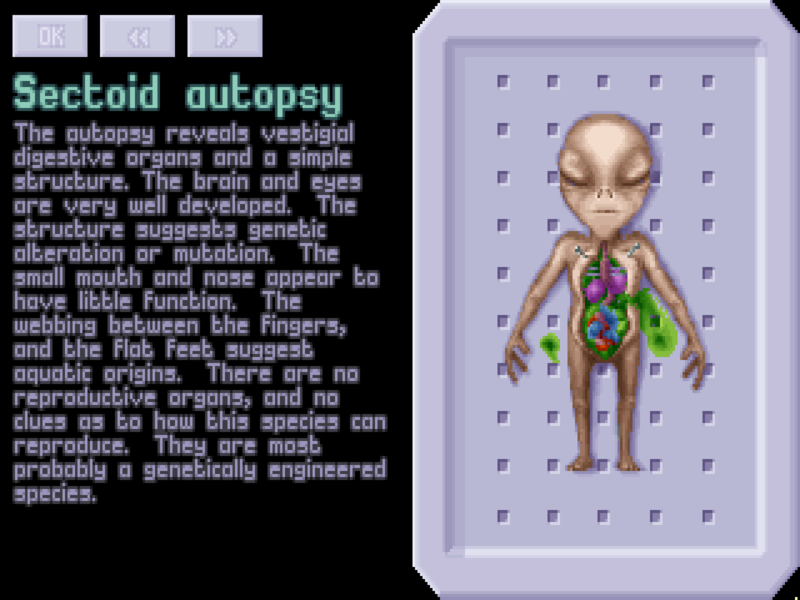 The sparse story is conveyed through the various scientific breakthroughs – alien autopsies shed light on their background and interrogation of captured aliens, especially their commanders, unveils their sinister plans, ultimately leading to a risky operation to take the fight back to the aliens and thus saving Earth from a fate worse than death. The game didn’t pull any punches – the story is bleak and the fact that civilians can easily be killed by both the player – “accidentally” – and the aliens in combat – lends additional gravitas to it. Not to mention the content of the ending slides when the player failed. And I say “when”, not “if”, because the game was punishingly hard. Unlike so many other games, were the Big Bad is patiently waiting for the Heroic Party to finally reach the Castle of Doom, in X-COM the aliens are actively waging a campaign on their own and will also try to locate and then invade your bases! The first time I was raided was a thrilling experience – getting to see up close all the facilities I had built, being on the defensive for once and having to deal with large numbers of hostiles without destroying my own base. The sequel Terror from the Deep (1995) increases the difficulty even further – if you thought you had mad skills, the game soon proves you wrong. Aliens are now awaking near the bottom of the oceans and raiding not only coastal towns but cruise liners and cargo ships. Battles are fought both underwater and on dry land, introducing an additional problem, as not all weapons can be used in both environments. Unfortunately, both the original game and the sequel suffered heavily from bugs. Some where bad enough to cripple the game, but by now fans have mostly fixed all of them, thanks to years of hard work.